Hot or Cold treatment for injuries- Which one is really the best. It’s important to know whether to apply heat or cold to an injury, the wrong application of one or the other could prolong the healing phases. If used correctly, however, appropriate ice and heat treatment can help to reduce bleeding, inflammation, swelling, muscle spasm and pain following injury. Ice and heat treatment can also accelerate healing and hasten injury recovery. In short ice is for injuries and heat is for muscles. 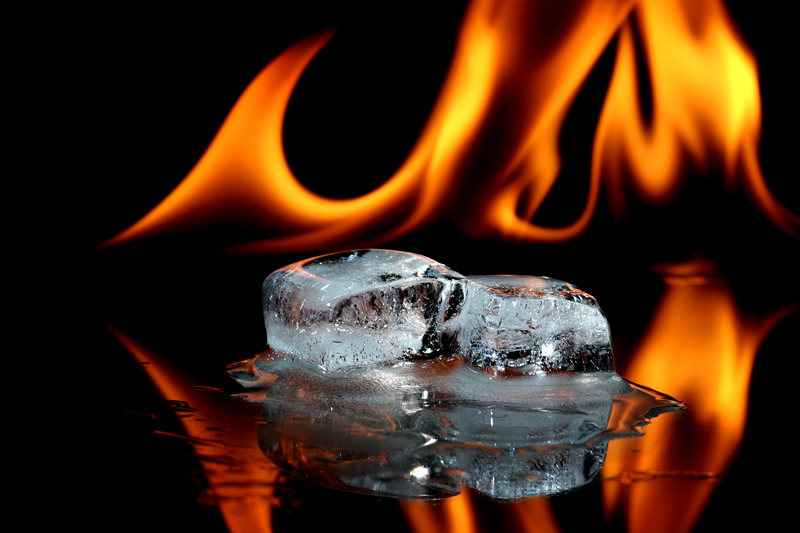 Ice is for injuries — calming down damaged tissues that are inflamed, red, hot and swollen. The inflammatory process is a healthy, normal, natural process. If the alternative for ice is drugs, then ice is going to be the best alternative … that also happens to be incredibly painful. Icing is mostly just a mild, drugless way of controlling the pain of inflammation. It reduces swelling and pain. Ice is a vaso-constrictor (it causes the blood vessels to narrow) and it limits internal bleeding at the injury site. Cold therapy is also helpful in treating some overuse injuries or chronic pain in athletes. An athlete who has chronic knee pain that increases after running may want to ice the injured area after each run to reduce or prevent inflammation. Heat is for muscles — taking the edge off the pain of whole muscle spasms and trigger points (localized spasms, or muscle knots), and for easing psychological stress (which can be a major factor in many pain problems). Sore, stiff, nagging muscle or joint pain is ideal for the use of heat therapy. Athletes with chronic pain or injuries may use heat therapy before exercise to increase the elasticity of joint connective tissues and to stimulate blood flow. Heat can also help relax tight muscles or muscle spasms. Don’t apply heat after exercise. After a workout, ice is the better choice on a chronic injury. Moist heat is best, so you could try using a hot wet towel. You can buy special athletic hot packs or heating pads if you use heat often. Never leave heating pads on for more than 20 minutes at a time or while sleeping.